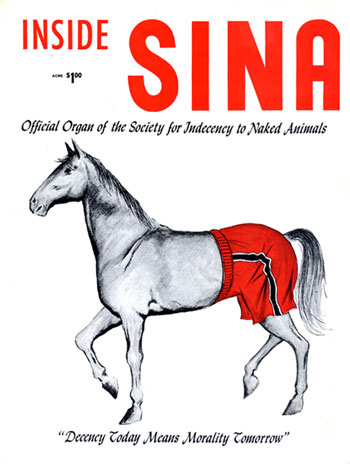 Those words were part of “The Ode to Decency,” the theme song of The Society for the Indecency to Naked Animals (SINA), and were addressed at animals. For a good laugh, listen to this presentation of the organisation by its president. Alan Abel must (deservedly) be well-known to many, but for me he was a new acquaintance. He was brought to my attention by Priceonomics. This entry was posted in Human condition and tagged humour, morality on 2016-04-11 by Oeystein Hernaes. The Antidote: Happiness for People Who Can’t Stand Positive Thinking (2013) by Oliver Burkeman. Tired of the self-helg genre’s focus on positivity in all ways, Burkeman writes a self-helt book about the power of negative thinking. Already a reality-oriented sceptic, I guess I never needed persuasion. It is nice to hear about Eipcurus, stocicism, and serious forms of mindfulness, but overall the book was not extraordinary to me. Ok.
Just Mercy: A Story of Justice and Redemption (2015) by Bryan Stevenson. Powerful account of the work of Bryan Stevenson to provide legal assistance to people wrongfully convicted, or convicted on the wrong basis. The case of Walter McMillian runs as a red thread through the book. McMillian spent six years on death row on the basis of made-up charges by the police, before he was cleared in 1993, thanks to the work of Stevenson. Everyone in the book is not innocent like McMillian, but they are all poor and unresourceful in the court system. Sentencing children as adults, prison abuse, racial bias are important themes. Recommended. This entry was posted in Books, Reviews on 2016-04-03 by Oeystein Hernaes.